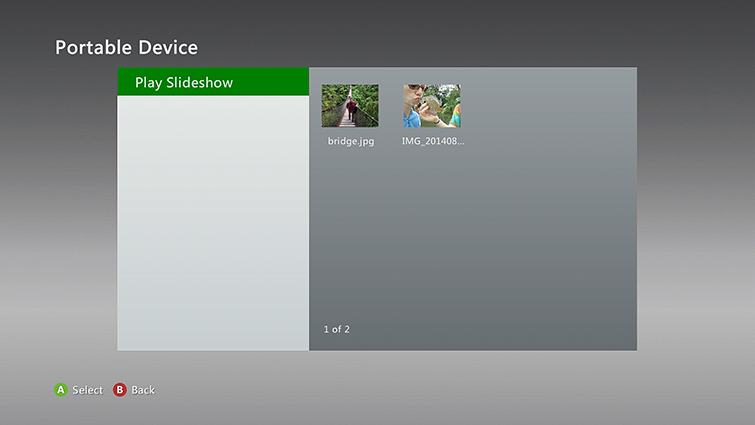 This article describes how to view pictures or a slideshow on your Xbox 360 console, and how to set a picture as the Xbox 360 Dashboard background. Note Not all devices, networks, and CD/DVD media are supported. If one source doesn’t work, try another. 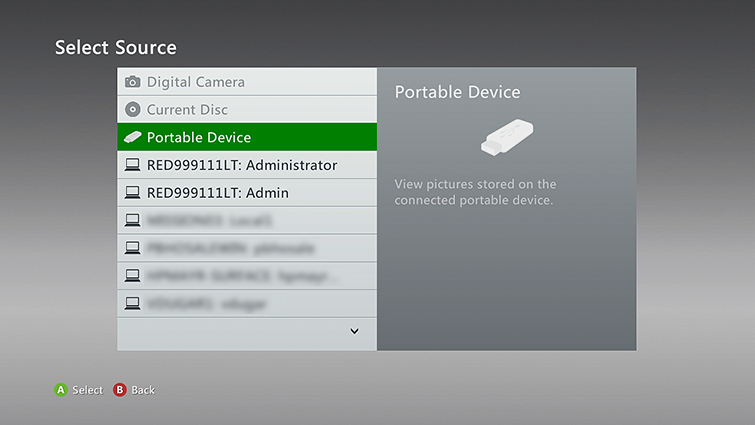 For example, if your Xbox 360 console can’t display images that are on a USB flash drive, try a different USB flash drive or copying the photos to a CD or a DVD. You can stream pictures over your home network to your Xbox 360 console by using Windows Media Player, the Zune Music + Video software, or Microsoft Windows Media Center Extender. For more information, see Stream media using Groove, Movies & TV, or Windows Media Player with Xbox 360.